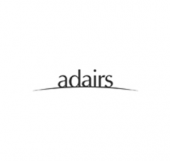 Adairs is recognised as Australia’s leading specialist retailer of manchester and Homewares. With over 100 stores nationally, the business comprises of some of this country’s best know retail brands, such as Adairs (including Adairs Homemaker and Adairs Factory Outlets), Adairs Kids and Urban Home Republic. We offer the largest and most comprehensive range of bed linen, bedding products, towels, cushions, throws, homewares, wall art and furniture.